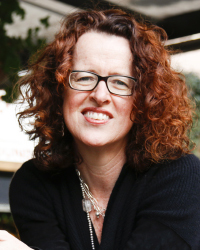 Prof. Genevieve Bell is the Director of the 3A Institute, Florence Violet McKenzie Chair, and Distinguished Professor at the Australian National University (ANU), as well as a Vice President and Senior Fellow at Intel. She is a cultural anthropologist, technologist and futurist best known for her work at the intersection of cultural practice and technology development. Genevieve joined the ANU in February 2017, after having spent 18 years in Silicon Valley, helping guide Intel’s product development by developing the company’s social science and design research capabilities. She now heads the Autonomy, Agency and Assurance (3A) Institute, launched by the ANU in collaboration with CSIRO’s Data61, tasked with building a new applied science around the management of artificial intelligence, data, technology and their impact on humanity. Genevieve is the inaugural appointee to the Florence Violet McKenzie Chair at the ANU, named in honour of Australia’s first female electrical engineer, which promotes the inclusive use of technology in society. She also presented the highly acclaimed ABC Boyer Lectures for 2017, in which she questioned what it means to be human, and Australian, in a digital world. Genevieve will address Managing the machines on Wednesday in Session 11.